Ride across towering mountains and through enchanted forests, alongside beautiful lakes, across hidden valleys and through rivers and creeks. Enjoy authentic luxury accommodation in a family-owned estancia and pop-up campsites along the way. Arrive on a morning flight from Buenos Aires to San Martin de los Andes/Neuquen/Bariloche airport and meet your transfer (arrangements can be made for a private transfer). The road trip from the airport to the ranch is simply magnificent, following the Alumine River Basin. Throughout the drive, you will see spectacular natural changes - ranging from the arid plateau to the subtropical woods of the northern Andes. Reach your accommodation, perched on the top of a hill overlooking the Caballadas Estancia. That night you will enjoy a welcome dinner and go over plans for the days ahead. Today is all about getting comfortable with your horse and your gear in preparation for the days that lie ahead. Set out this morning after a hearty breakfast. You ride through the Valley and enjoy lunch at Las Tordillas barn. After lunch, you will resume your ride and finish the day at the Valley Lodge where a hot shower and delicious meal await. Today the horse-pack trip begins! The trail leads you deep into the Andes. Enjoy lunch at the beautiful 'Mallin Largo Valley', a hidden valley surrounded by ancient trees and the famous millenary Monkey Puzzle trees. Conclude today's ride by passing through Las Caballadas Valley located at the far end of the ranch next to the Chilean border. The campsite will be prepared by the time you arrive. The personal chef will have a nice bonfire going along with a traditional Patagonian dinner and a welcoming glass of wine. 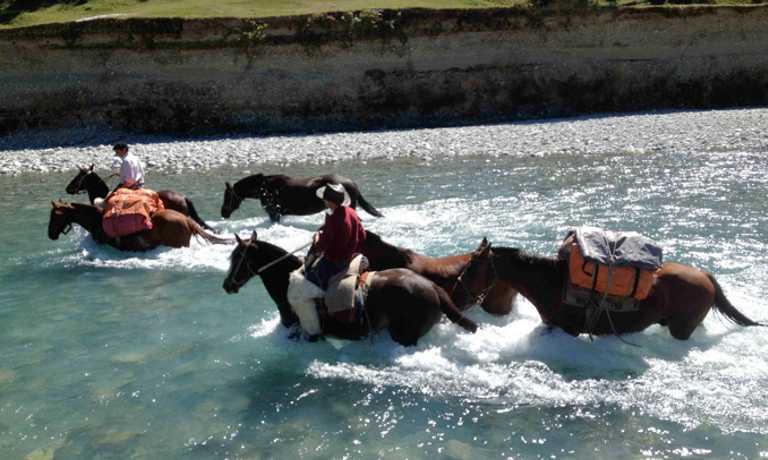 Following a delicious breakfast, you will get back on horseback. Today, the trail leads you throughspectacular scenery; not least the mighty Lanin Volcano and the towering Andes Mountain Range. 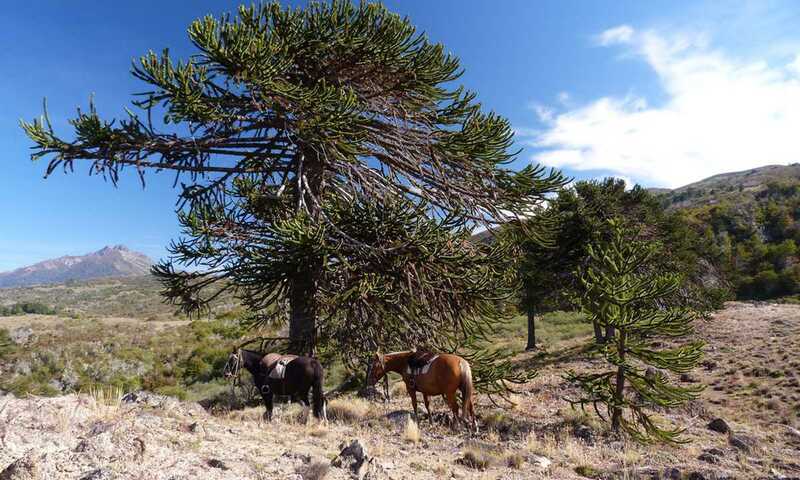 Weather permitting, you will ride to the top of 'Cerro Ventana' (1,957m). Return to the campsite in the afternoon. Today the trail will lead you to 'Cerro Ponom' (1,865m), crossing through 'Mogotes Grises', and heading down to the gorgeous 'Tres Lagunas Valley' before returning to your campsite through the Magdalena and Caballadas Valley. After breakfast, pack your things and ride back to the ranch. Expect to arrive back at the lodge around 5pm. After a relaxing shower, afternoon tea will be waiting, followed by a delicious dinner to celebrate the conclusion of your trip! It's time to pack your things and say goodbye to the ranch. Upon request, arrangements can be made for airport transfers. During the journey back to the airport, you'll have time to reflect on your amazing trip to Northern Patagonia! This trip can run as a group trip, with prices starting from $4,800 per person for a complete group. If you are looking to join a group or you are a solo traveller we will help to form likeminded groups of travellers. Please let us know your travel plans. 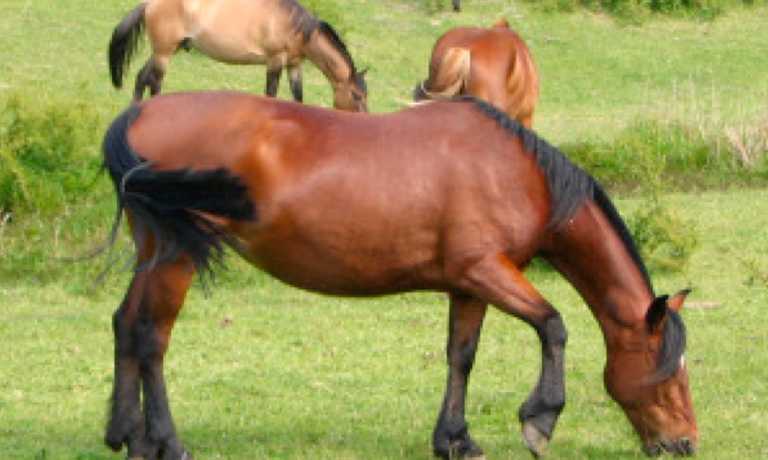 You should have riding experience, and be secure in the saddle at a walk, trot, and fast canter.